Note: Lo Fi Coffee has closed. 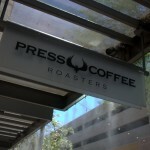 I had the good pleasure to visit Lo Fi Coffee in Mesa recently. 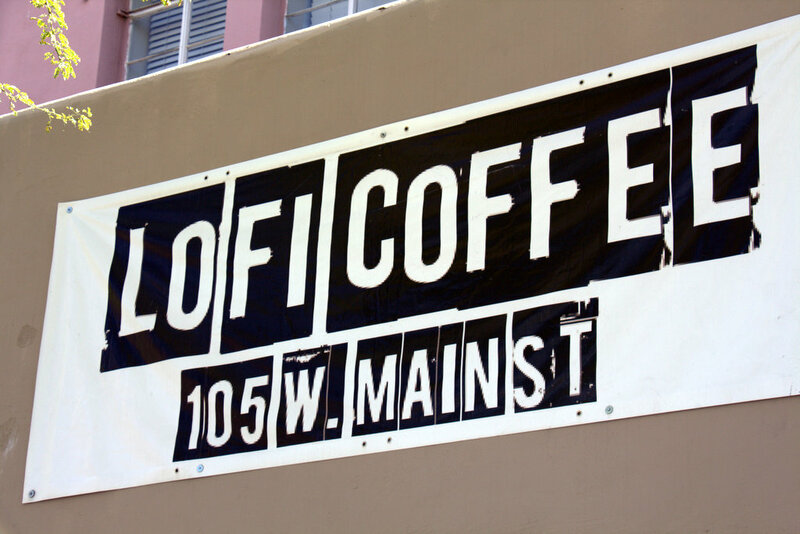 Located on Main Street in the heart of Mesa, Lo Fi is a coffee shop owned and managed by Sam Clark. On the day I arrived, Sam was behind the bar making drinks for customers. In the time I was there they had a non-stop stream of customers all afternoon. I ordered a cappuccino and one of their iced teas that they’ve been promoting. My cappuccino was really good. I’m impressed with the way they are making their drinks and am happy to recommend Lo Fi as a great destination for a quality cappuccino. 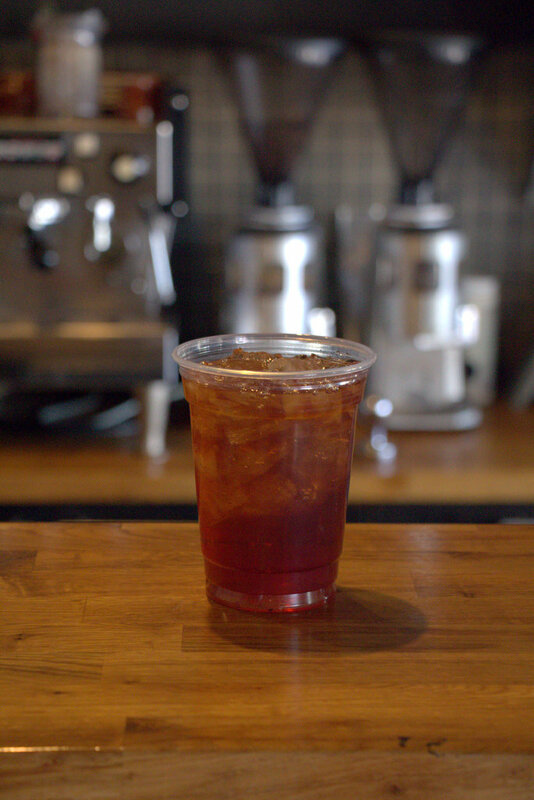 I also had a raspberry black tea (iced) which in the photo looks a bit like a toddy. The tea was excellent. It had the perfect light-sweetness level, but all natural. I would highly recommend it. Lo Fi serves all of the classic espresso based drinks. 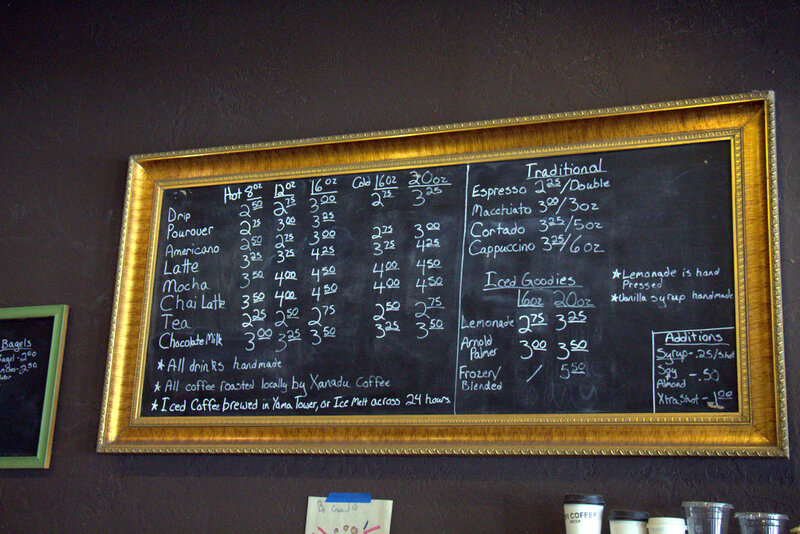 They use locally roasted coffee from Xanadu Coffee in all of their drinks, and also sell it by the pound. Lo Fi Coffee has been serving Xanadu Coffee for several years now and has a close partnership with them. Xanadu can be considered a micro-roaster, and it’s nice to see they are able to work together. 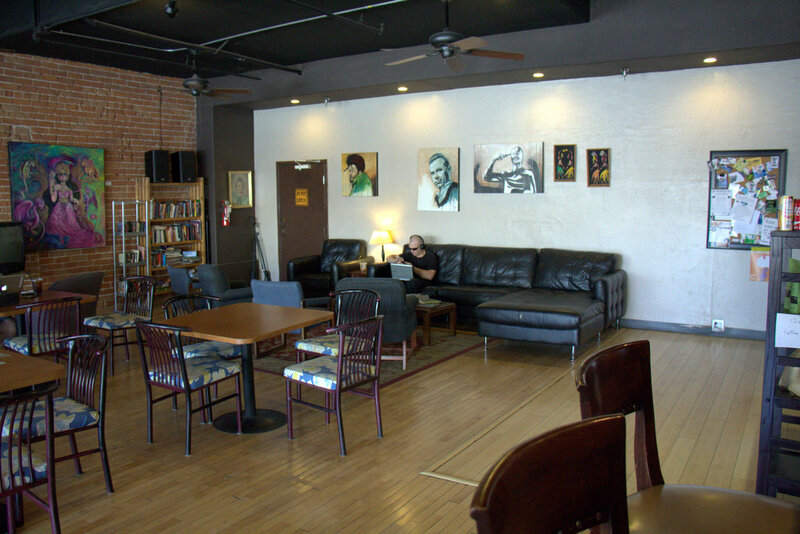 The interior of Lo Fi is a big central room with hardwood floors and colorful artwork on the brick walls. 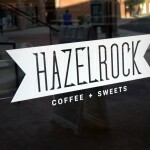 The building has high ceilings, and a full wall is devoted to coffee preparation. I like that you can sit down at the bar and shoot the breeze with the barista. This is something missing at a lot of coffee shops. I talked with Sam for about 30 minutes about coffee and other things. Lo Fi Coffee is unique in that they bake all of their own pastries and food offerings. Sam is quite proud of his bacon butter biscuits that are featured in a big glass display on the counter. 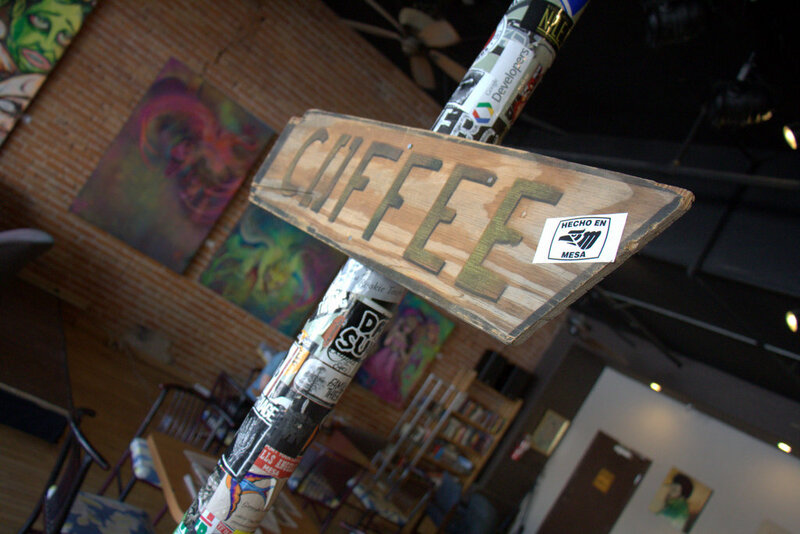 Lo Fi Coffee has been around since the Spring of 2011, and is located next door to the Nile where musicians often come to play. Lo Fi just started serving alcohol drinks, as well. Sam is heavily involved with the development community in Phoenix and is constantly tinkering with new ideas at the shop. He’s built fancy LED lighting units for window displays, and made cool photo-time-lapse automation systems. He does all of the development of his web sites and is fluent in Node.js, which I find really awesome. 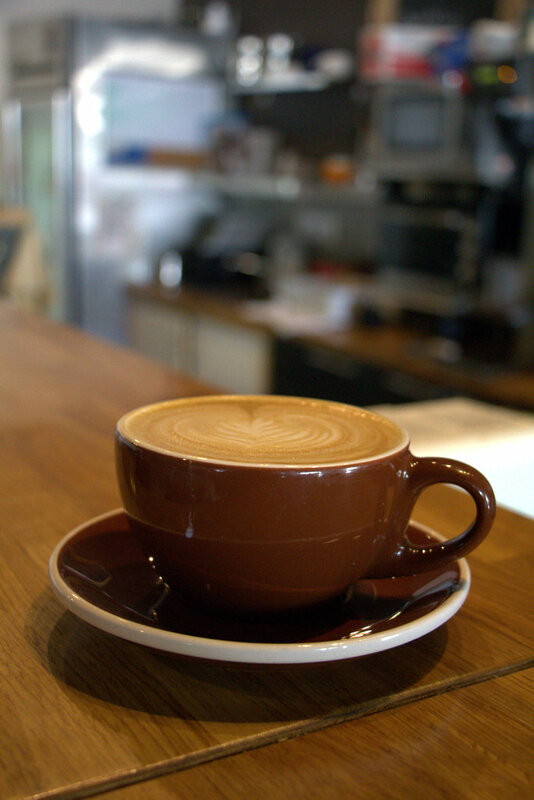 He’s on GitHub and has published plenty of coffee guides in case you are interested. So, the next time you are in the Mesa area, do yourself a favor and stop in at Lo Fi Coffee (free parking on the street, and behind the building). Timing… A couple days makes all the difference. I would love to hear that Lo Fi finds a new home but since the new operators of the space are still local and dedicated to downtown Mesa I’ll give in on my personal boycott and try the new place eventually. Until then I’ll be looking into understanding the lanlord’s decision.